ZIMBELMANN Bags and Accessories: exceptional design meets outstanding craftsmanship and excellent material quality! 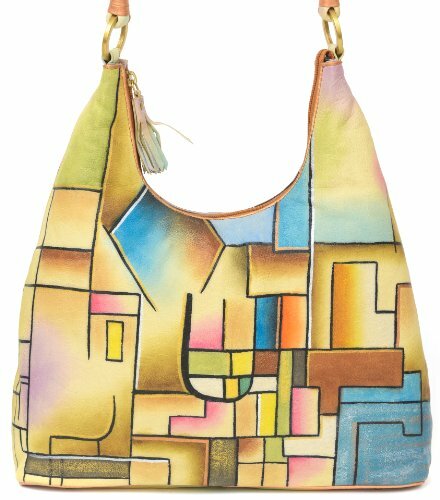 Each one of our items was hand-painted by our experienced artists. Distinct and individually matched motives turn every ZIMBELMANN product into an original piece. Become acquainted with the unparalleled charm of our elaborately manufactured goods. ZIMBELMANN is more than just a bag! Selina appears feminine, dainty and rich in detail. The fancy shoulder strap with its beautiful color accents is simply lovely. The delicate and elegant design in alternating bright and tender colors is rich in variety. A bag as individual as yourself! The colors do not rub off and they are resistant to the exposure to weather conditions. With the particular treatment of the leather the colors will remain and the motives will retain their liveliness. Care instructions are enclosed. Carry Your ZIMBELMANN Bag over your shoulder or delicately in the crook of your arm. Great gift idea for that special lady! If you have any questions about this product by Zimbelmann, contact us by completing and submitting the form below. If you are looking for a specif part number, please include it with your message.